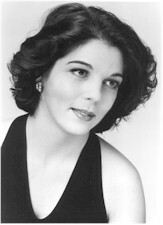 In a recent Messiah concert, the Monadnock Ledger of New Hampshire reviewed; "Soprano Louise Fauteux shone. Her technique allowed her to float on a glorious high note and then turn up to an even higher embellishment without strain or forcing or losing the very musical line. She showed a strong concept of the text and music or her airs, which she communicated beautifully." Ms. Fauteux has been in demand for many concerts over this past year such as Mozart's Coronation Mass and Dvorak's Te Deum (Connecticut Master Chorale), arias from Faust (CT Concert Opera), Bach's St. John Passion (New Haven Oratorio Chorale), Handel's Messiah (Arcadia Players, Monadnock Chorale) and Haydn's Creation (New Haven Chorale). She is currently serving as a Resident Artist for Dicapo Opera in New York City, understudying the role of Violetta. This summer she toured Venice with Dicapo as their soprano soloist for several concerts of the Vivaldi Gloria and Mozart's Requiem. Born in New York City and raised in Atlanta, Georgia, Mezzo-Soprano Lainie Diamond is known for the vibrant beauty of her tone and the energy and expression she brings to her interpretations. She made her Avery Fisher Hall debut with The American Symphony Orchestra as Bellangère in Ariane et Barbe-bleue, with Leon Botstein conducting. This season she sang as Mercedes in Carmen scenes with One World Symphony, in the Bach Magnificat with The Middletown City Chorale, New York, and in Mendelssohn’s Elijah with The Oratorio Society of Queens. Ms. Diamond made her New Orleans Opera debut as Katchen in Werther, and sang Hansel in Hansel and Gretel with The MetroPelican Opera of The New Orleans Opera. 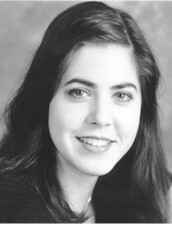 Her roles include Cherubino, Hansel, Dorabella, and The Third Spirit. As a concert soloist, her appearances include performances at St. Patrick’s Cathedral, New York City, and in Handel’s Messiah. Off-Broadway, she sang the role of Shifrah in Moses, My Love at The Judith Anderson Theatre. Her leading roles sung in Music Theatre include Julie in Show Boat, The Witch in Into The Woods, and Lucy Brown in The Threepenny Opera. She is a graduate of Loyola University New Orleans, and studies with voice teacher/author Herbert Burtis. Lainie is very honored to be singing in this performance of Rutter’s Feel The Spirit. 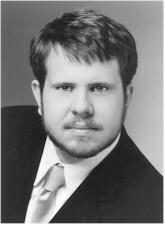 Baritone Michael Cavalieri, a native of Illinois, is emerging as a regular artist on the concert and opera stage. This February, Mr. Cavalieri will sing Valentine in Connecticut Lyric Opera's Faust. After attending Illinois Wesleyan University and Arizona State University, Mr. Cavalieri's roles included Guglielmo in Così fan tutte, Ottone in L'incoronazione di Poppea, and Eisenstein in Die Fledermous. He has performed with Arizona Opera as Happy in La Fanciulla del West and Bogdanovich in The Merry Widow. In 2001 he was a Young Artist in the Apprentice Program for Singers at the Santa Fe Opera. As a recent graduate of Yale Opera, he sang the roles of Count Almaviva in Le Nozze di Figaro, directed by Sir Colin Graham, and the title role in Gianni Schicchi, directed by Marc Verzatt. Last spring, he was Sganarelle in Gounod's La Medecin Malgre Lui, premiering the recently discovered recitatives by Erik Satie. Last summer, Michael performed with the Orchestra Sinfonica di Milano in a series of Broadway concerts featuring the Milanese premiere of Bernstein's Candide, along with Rogers and Hammerstein, Cole Porter, and Jerome Kerns among others. This March he will return to perform with the Connecticut Master Chorale for John Rutter's Mass of the Children. Mr. Cavalieri was a 2001-02 Herberger Fellow, a recent recipient of the Igor Gorin Memorial Award, and a finalist with the MONC Western Region. He studies with Richard Cross and resides in New Haven with his wife.